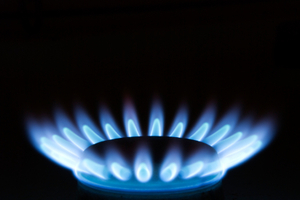 Chris Weston is set to be appointed as the new boss of British Gas by its parent company Centrica. He will be taking over from Phil Bentley who is set to step down as managing director after six years in the role. Mr Weston was managing director of British Gas Services for a four-year period from 2005 to 2009; the part of the firm responsible for marketing boiler repair and insurance services to its customers. He has worked with Centrica for more than 12 years, originally joining the firm after its acquisition of One Tel where he worked as a senior executive. Since 2009 however, he has been responsible for the group's Direct Energy business - serving a customer base of more than six million people in the North America region. Now returning back the UK fold, it will be Mr Weston's role to drive profit from British Gas's 15.8 million customers in the UK and spearhead what British Gas said in its last results statement is a strategy for: "taking the lead in helping to rebuild trust in the energy industry." This is because many UK energy firms have found themselves under the spotlight recently with many of them announcing large profits, whilst at the same time increasing customers energy bills. He will be replacing Phil Bentley, who has also worked at Centrica for a number of years, originally taking the role of finance director in 2000, before shifting across to the managing director role at British Gas in 2007.